Welcome to my new column, Staging Area. The idea here is to take a look at what to expect before the race, instead of analyzing what happened after. It’s so easy to watch a race, make assumptions, and pretend to be an expert on why this or that occurred. There are so many armchair quarterbacks in racing, and I’m as guilty as anyone. So, having said that, I wanted to take my chances on the front side. Sure, I’m going to be wrong oftentimes and people will call me an idiot. I accept and expect that. However, maybe, just maybe, people will have more insight as to why some things happen and understand the nuances of the race more because of this. Enjoy. Hype, nerves, and anxiety are the overriding theme for the debut round of the series. Riders are so stressed about the upcoming year and kicking things off on the right foot. Sponsors hope they made the right investments, and teams hope they hired the ideal riders. Riders hope they hired the ideal trainers and chose the ideal setup coming into the season. Everyone looks at this one race for validation on their decisions. Of course, that’s a foolish notion as it is such a small sample size for what’s to come. Still, though, everyone wants to draw concrete conclusions leaving Angel Stadium on Saturday night. Win the opener and you're the next Jeremy McGrath, and no one stands a chance. Crash in the first corner or have any sort of trouble, and the world has come to an end. Sounds reasonable, right? It happens every year, though, and 2015 will be no different. Look for there to be two very different schools of thought here. 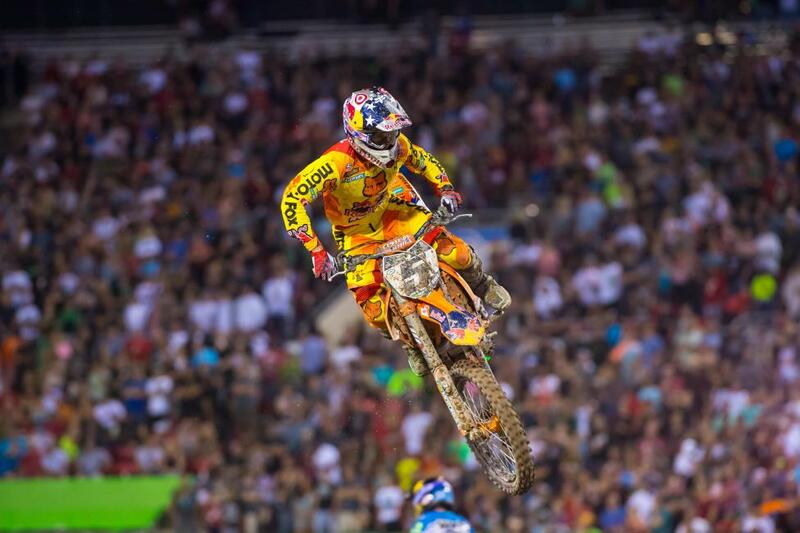 The veterans such as Reed, Dungey, and Millsaps should be fairly calm and know that this is a very long season. I expect some of the younger guys like Tomac, Roczen, and maybe even Canard to want to push the envelope a bit more this Saturday. Time will tell if the youth has indeed gone wild. Every event has its own quirks, ranging from the weather, to the dirt, to how the pits are setup. Seeing as how there are three Anaheim events per year, every one becomes very familiar with the Orange County offering. For these California events, many of the riders will get to sleep in their own bed the night before the race. That’s a nice bonus for a sport that involves seemingly endless travel. I never had this luxury, being from Florida, but the comforts of home on such a nerve-wracking weekend would have to be great. 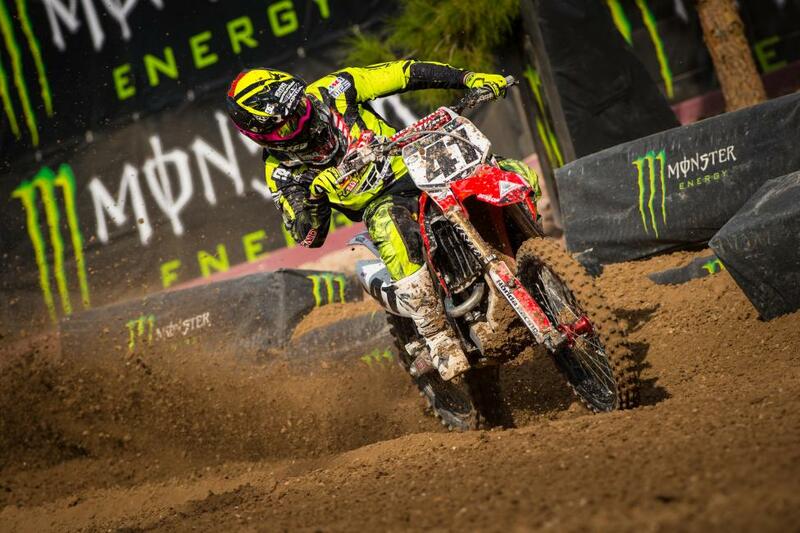 As for the track, Anaheim is a fickle one. The first round of the Anaheim trilogy is typically the best when considering the soil. It’s brought in the weekend before and gets turned over continuously leading up to press day on Thursday. During the day on Saturday, traction will be pretty decent. It starts out very wet but will tack up quickly. Then, as the sun goes down and the moisture comes up, the traction slowly deteriorates. The ocean mist comes floating into the air, leaving icy Anaheim conditions in its wake. On television, anywhere you see a shiny spot on the track, know that Trey Canard is basically Oksana Baiul out there. There is nothing more terrifying than feeling sixty horsepower in an uncontrollable wheel spin leading up to a big triple face (for evidence of that scenario, google Justin Barcia’s crash at Anaheim 2 in 2013). The tire companies will have their hands full keeping riders happy, but it’s the same struggle every year. As for who the slick conditions will benefit, I did some research and found a few interesting trends. I looked at four riders and analyzed their data for all of their Anaheim performances. I wanted to know their average finish at an Anaheim event, and I also wanted to know what their average finish would be if their two worst scores were removed from the equation. My rationalization is that things just happen beyond a rider’s control, such as chain derailments (Dungey 2011), broken front brakes (2005 for Reed), and crashes (Dungey 2014, lost grip and couldn’t finish). From this data, a pretty interesting picture starts to emerge of who likes the slippery Anaheim dirt and who doesn’t. Chad Reed: Thirty-two starts with an average finish of 3.28. Subtracting the two mulligans gives Reed an astonishing average finish of 2.33 over thirty races. That’s incredible given the huge number of events. Davi Millsaps: Sixteen starts with an average finish of 8.37. When we take away his worst two finishes, it brings him down to a respectable 6.80. Certainly not bad, but looking back to his heroic 2013 Anaheim 1 ride, I would have assumed his number would be better. Ryan Dungey: Thirteen starts with an average finish of 5.69. However, and this is very telling, when we remove those two anomalies, his average jumps all the way to a 2.6. That’s a very big difference and shows that the Dunge can indeed ride Anaheim with the best of them. There were many more riders I would love to research, but most of them are lacking data due to being a rookie, injuries, etc. The last rider I did look at was Ken Roczen. He has only raced Anaheim three times, but with an average finish of 2.0, he is certainly not one to take lightly when venturing into Orange County. 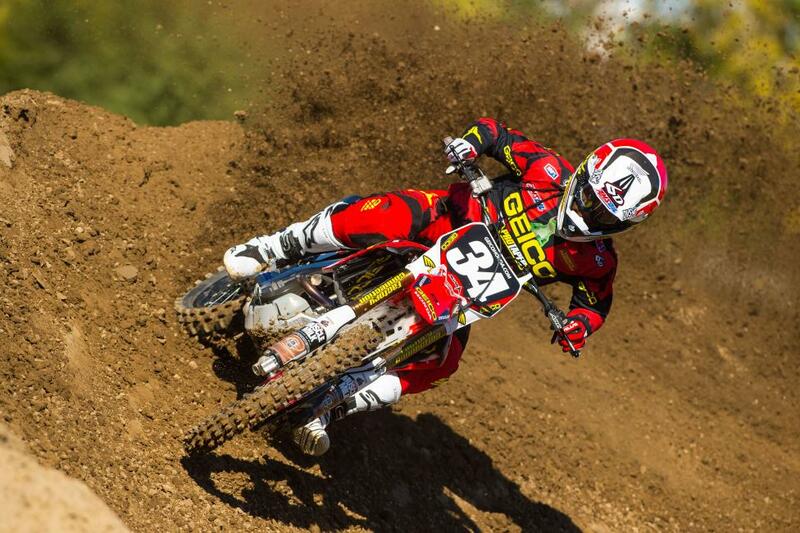 - Weston Peick beats Justin Barcia and is the top Yamaha rider at Anaheim. - Monster girl’s t-shirt launcher backfires, causes wonderful wardrobe malfunction. Crowd goes crazy. Monster Energy stock skyrockets on Monday. - Malcolm Stewart mistaken for the real Predator, battles Arnold Schwarzenegger in the middle of the start straightaway for intergalactic supremacy. - Three of the projected championship contenders DNF the main event due to first-turn crashes and other mishaps. - Mike Alessi wins any sort of qualifying race and cries again. - James Stewart, in the ultimate defiance to the FIM, enters the Toyota Sumo Suit race and dominates the field. The FIM’s Wolfgang Srb refuses to comment on the validity of the race result. The Predator stands no chance against Arnold.